Recently I learnt a couple of vachanas. Vachanas are devotional octets composed by Veerashaiva saints from Karnataka such as Akka Mahadevi and Basavanna. They are characterized by simple lyrics that speak directly to the listener. Here is Hindustani great Pandit Mallikarjun Mansur rendering a vachana of Akka Mahadevi. Numerous composers have attempted to set the more popular vachanas to music. By no means is this confined to Kannada poetry. 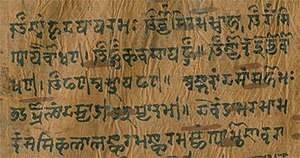 Vernacular poetry from the Divya Prabandham of the Alwar saints in Tamil, Kabir’s dohas, Sangam literature such as the verses from Silappadikaram (MS Subbalakshmi singing Vadavaraya Mathakki at her UN concert in 1966) have all been brought to life by composers and musicians. My album Saranagathi was one such attempt – with a original music score by a friend/musician in the US who composed the music for 30 verses from Kulasekhara Alwar’s Perumal Tirumozhi. When poetry is set to music there’s a new dimension added to it. The same verses reach a wider audience. Many of us have listened to MS rendering Bhaja Govindam – can you now imagine reciting the same verses in staccato fashion? It doesn’t matter if you sing off-key, but you’re in your comfort zone singing a tune from your childhood. If you try reciting the same verses, you feel there’s something missing. I believe a composer has a big responsibility when he’s setting the music for a poem. He needs to understand the lyrics and the mood of the poet before selecting the raga. One cannot choose a raga like Shuba Pantuvarali when the poet talks about a rainy day, neither can we listen to Sama when Rama goes to war with the lord of Lanka! Years back, a dancer in the SF Bay Area had asked me to set the music for a few verses penned by a Sanskrit professor in DC. The whole piece was about an immigrant’s dilemma in the US. The poem began with the the immigrant pondering as to why he was drawn to the land of opportunity. The questions haunted his mind day and night. I chose raga Mohanam for the introductory verse. The next verse talked about why he continued to live in a land where he was treated as a secondary citizen (Bhagesri seemed appropriate here to bring out the element of despair). As this was a dance program there was a visual element in the mix and to that extent made my job easier. Poetry is all about emotion as is music. When the two meet, there’s magic in the air. I am concluding this post with a recording of Kabir’s doha in the dulcet voice of Jagjit Singh. Kabir’s dohas are very emotive, brief in length, rich in imagery and earthy in style.